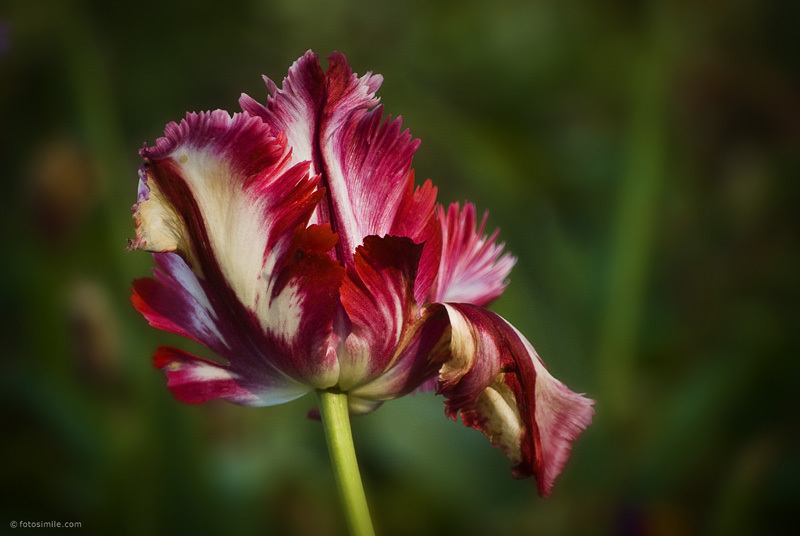 Parrot tulip, St. James Park, London, taken in mid-May. Had to look up the name of this variety (I think I got it right). Love the look. Reminds me of the old Dutch masters' still life paintings of flowers. Bright and beautiful! This is the bokeh effect that I just love. Really brings out how stunning the flower is. Well done!